I was raised on The Simpsons. It sounds silly and maybe it wasn’t the best parenting decision, but I distinctly remember sitting in front of the TV with my dad and watching that little yellow family that I now feel like I know almost as well as my own family. I remember taking it all in with wide eyes and laughing whenever my dad did, even if I didn’t fully understand the jokes. Those evenings in front of The Simpsons remain some of my happiest memories. Because of my love for the show, I’ve been obsessed with FXX’s Every Simpsons Ever marathon. It’s helped me revisit classic episodes that I hadn’t seen in a while. It’s helped others who hadn’t seen the show before understand exactly why the world loves it so much. And it’s given me an excuse to do one of my favorite things: talk about one of my favorite shows. 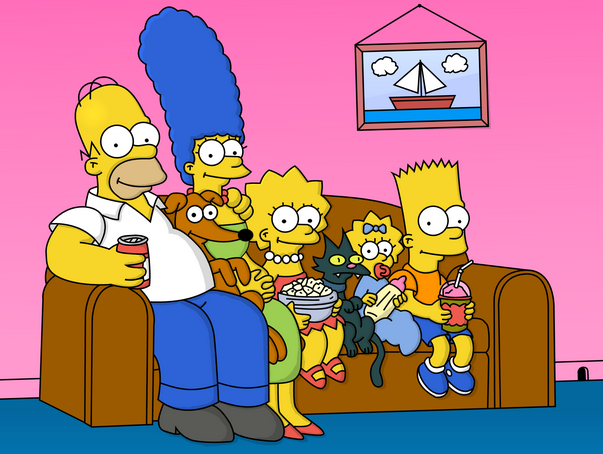 In the spirit of discussing The Simpsons, I’ve decided to take on a series in which I discuss the merits of each member of the Simpsons family. More than anything else, I’m going to tell you what each member means to me personally, so if that’s something you’re into, please stick around. 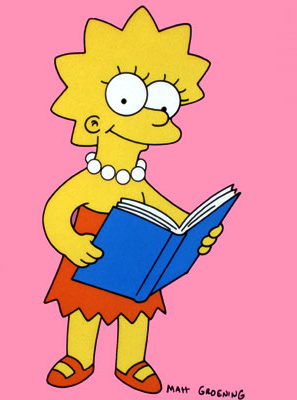 To begin this little adventure, I give you Lisa Simpson, the cleverest, worldliest and most cultured member of the Simpsons family. I always wrestle with choosing a favorite member of the Simpson family. On one hand, Bart was pretty much my first crush. I know that’s weird because he’s a 10-year-old cartoon character, but hey, I was a kid too, and this was a really innocent crush. 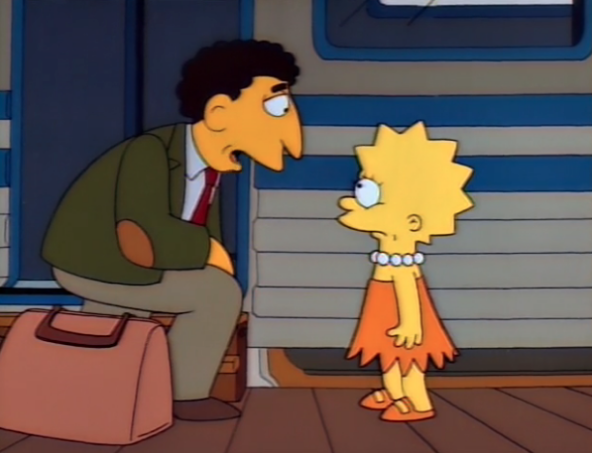 On the other hand, Lisa, perhaps more than any other character on television, really helped shape me into the person I am today. I once wrote an article for another site about the best female characters on television. Lisa was first on the list. I called her “TV’s ultimate feminist.” I stand by the statement. With an IQ that falls somewhere between 156 and 167 — It’s been different in different episodes. — 8-year-old Lisa is, without a doubt, the most intelligent member of her immediate family, and she’s probably the smartest character on the entire show. With her unbridled brilliance and love for learning, Lisa excels at school. She reads for fun, actively researches topics that she’s passionate about and tries her hardest to get involved in organizations that she believes in. As a youth, we even get to see her struggle with braces. We don’t get to see the orthodontist much, but we know they have some affect on her life. Lisa is the family’s moral compass. She is the town’s moral compass. She tries to get Mr. Burns, the richest, most powerful man in Springfield, to recycle, strives to help those in need and generally does everything in her power to make the world a better place. Politically, Lisa is quite leftist and liberal in her views. She’s a vegetarian for moral reasons. Simply put: Lisa is a very good person who cares a lot about the world she lives in. At such a young age, Lisa is already more educated and refined than everyone around her, and she takes pride in that intelligence. Though she’s had her struggles with feeling accepted in some episodes, for the most part, Lisa has always been extremely proud to be who she is. And that is such a powerful thing for young girls to see on a popular TV show. Seeing a strong feminine character that stands up for what she believes in and refuses to be silenced is something that can make a huge difference in the way a child grows up. It would be naive to pretend that television doesn’t play a huge role in the people we become. When you invite characters into your home once a week for years and years, you’re going to take something away from those characters. Certainly, we are the characters we watch. 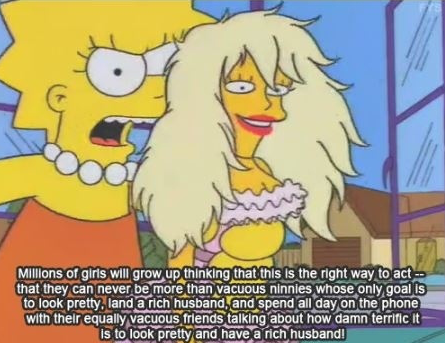 And a role model like Lisa Simpson is something that every little girl deserves. I’m so thankful to my dad for watching The Simpsons and introducing me to an amazing role model in Lisa. I’m thankful to the writers for creating such a character. And yeah, I’m even thankful to Fox, for airing this show for so long. There are two Lisa episodes that I want to leave you with, because I feel they truly capture Lisa’s essence as a character. The first comes from the fifth season classic episode, “Lisa vs. Malibu Stacy.” When Lisa discovers that her favorite doll, Malibu Stacy, is programmed only to say unsettling sexist statements such as, “Don’t ask me; I’m just a girl.” Lisa doesn’t just go complain to the company about the doll; she teams up with the creator of the doll to make a new toy that says only empowering things about women. 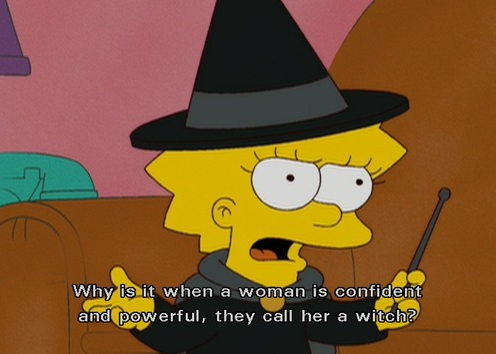 Lisa realizes that young girls shouldn’t be hearing antifeminist things and should instead be empowered. It’s awesome. Lisa pointing out why Malibu Stacy’s words are so troubling. Lisa recording the dialogue for the new doll. 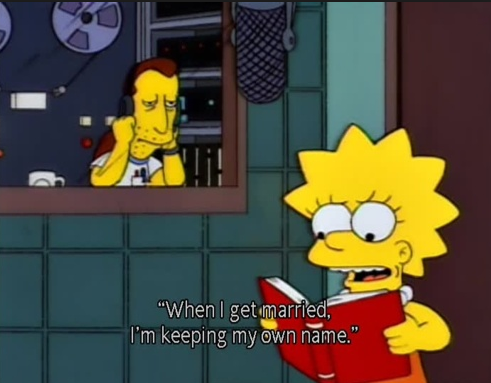 The second moment is actually from my favorite episode of The Simpsons ever: “Lisa’s Substitute.” When the class gains a new, attractive bookworm of a substitute teacher, Mr. Bergstrom, Lisa develops an intense crush on him. Throughout the episode, her crush turns more into an appreciation for everything that he stands for. In Mr. Bergstrom, Lisa finally finds someone who respects her intellect and values her as an educated and bright young woman. But, tragically, as is the life of a substitute teacher, Mr. Bergstrom must leave Springfield and go where he’s needed to teach. Lisa is heartbroken. Feeling alone and unappreciated, she’s shattered to see the one person who understands her leave town. 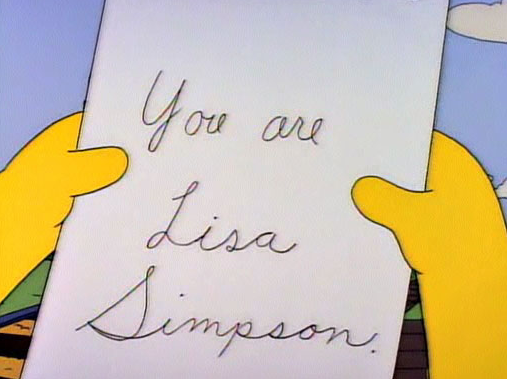 The note says, “You are Lisa Simpson.” It’s a gorgeous moment and it’s arguably as poignant as the show ever gets. And how true that note is.